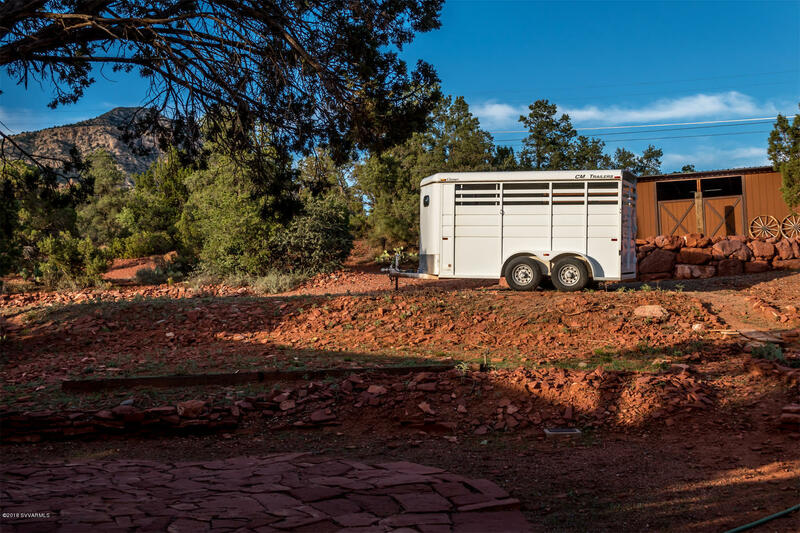 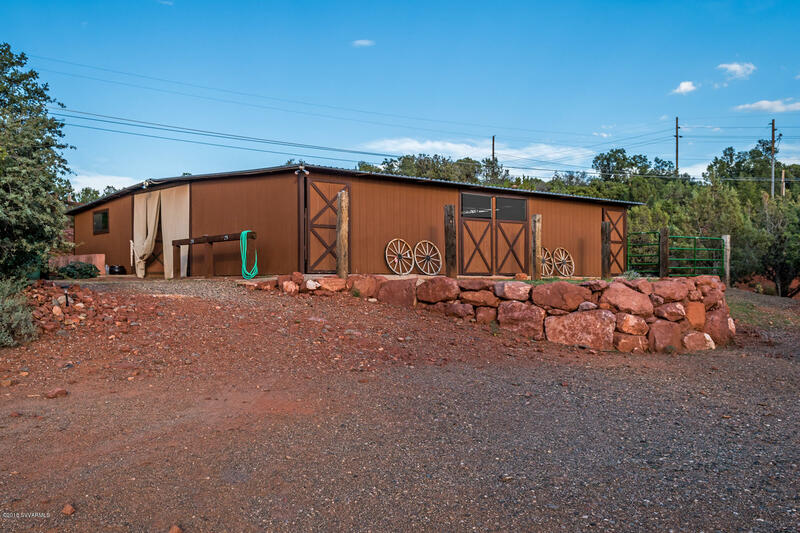 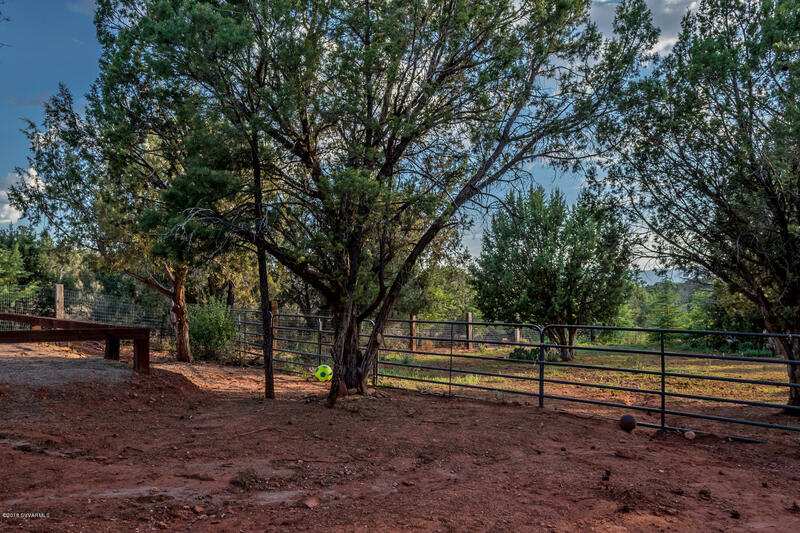 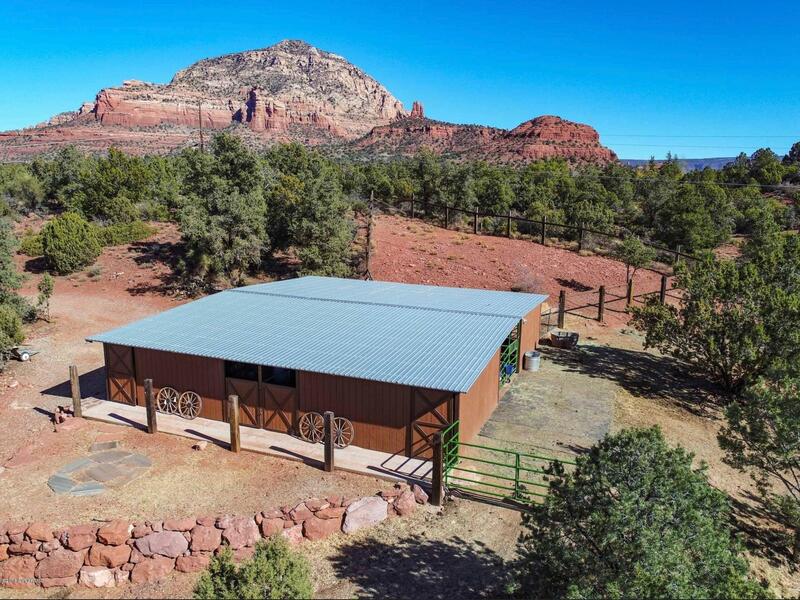 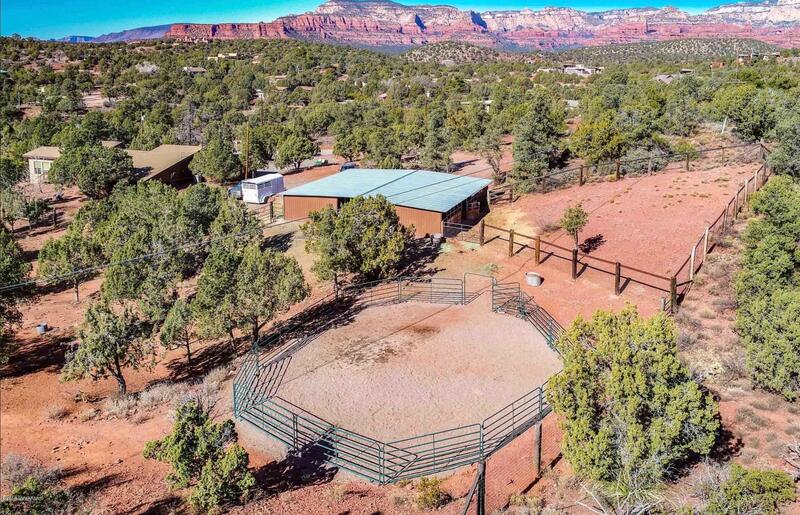 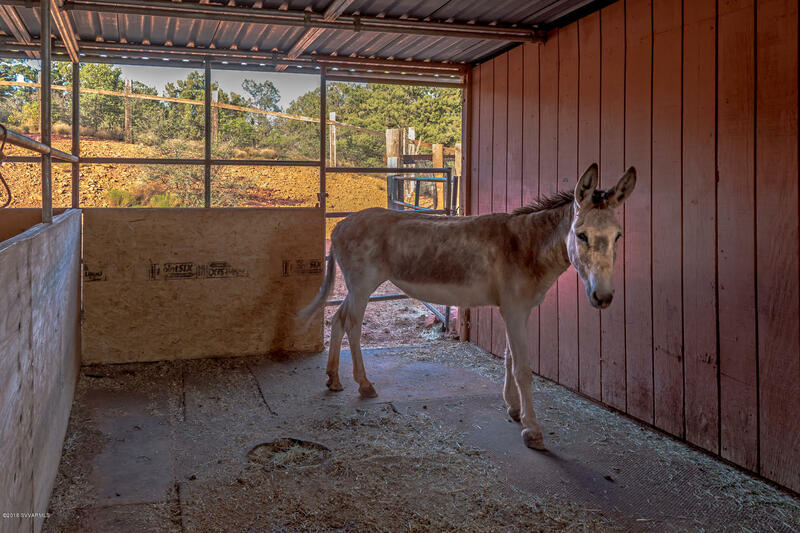 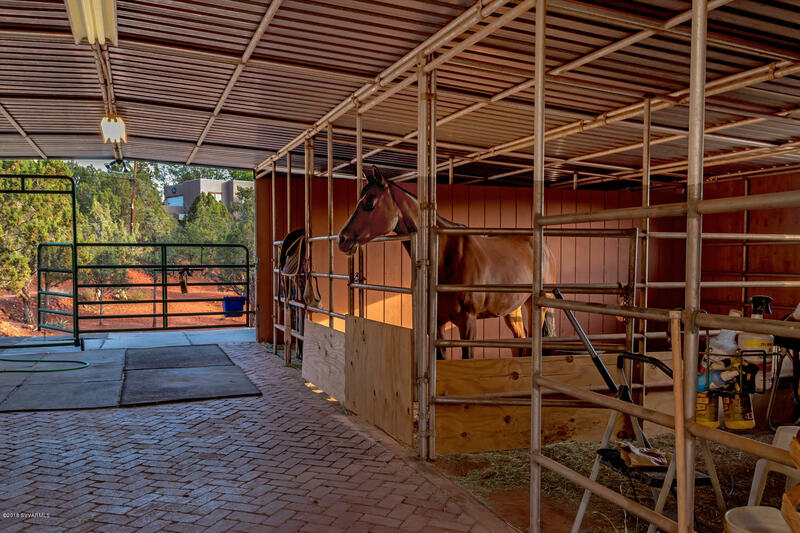 This Horse property is a real knock-out! 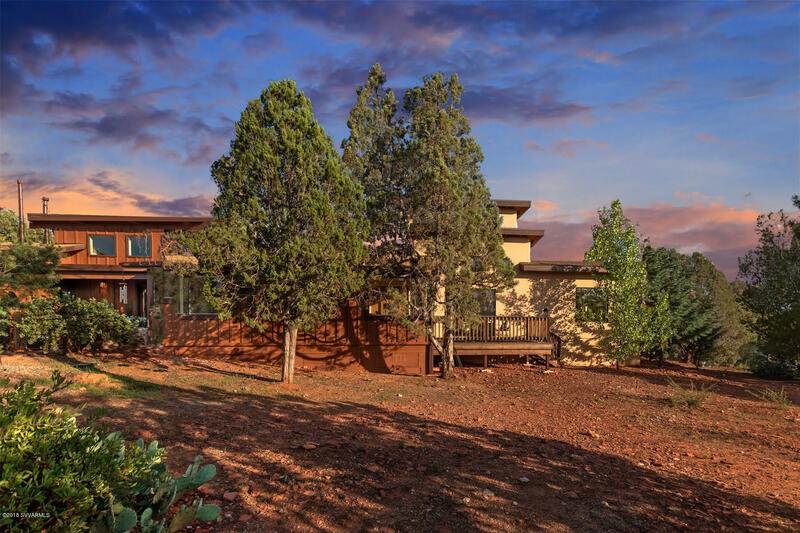 Situated on 2.5 acres of premier Color Cove property, 140 Raven is an exceptional house and land. 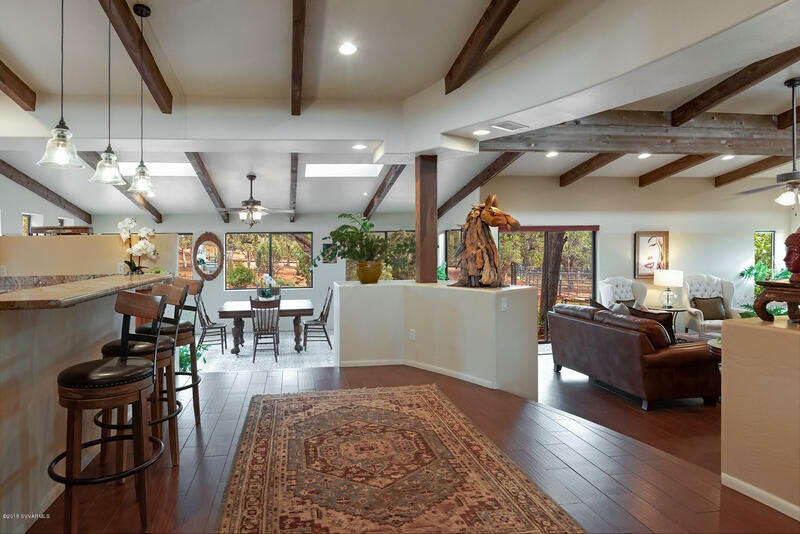 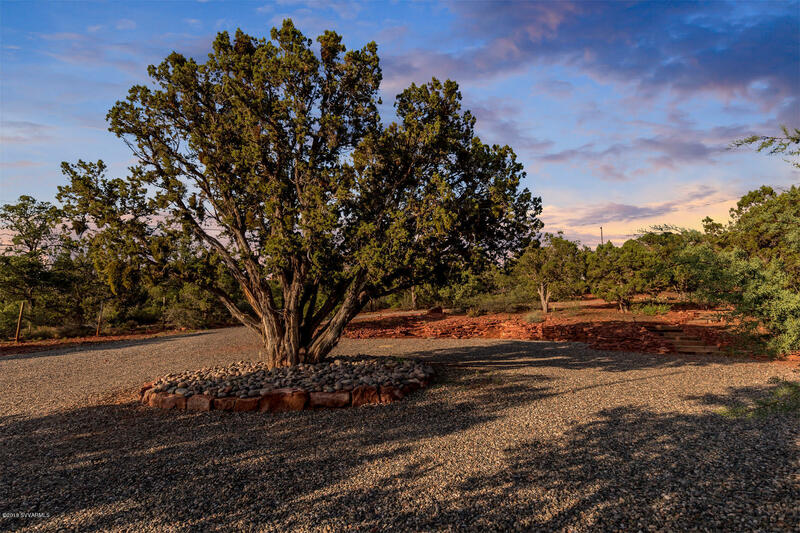 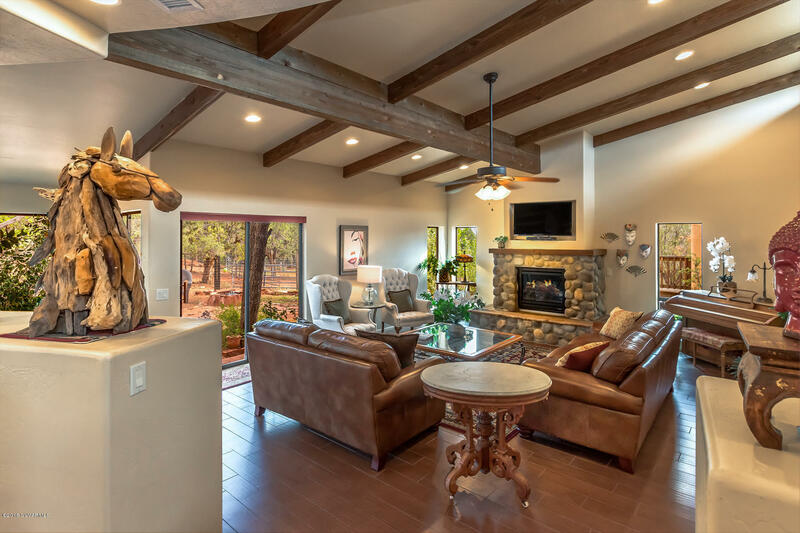 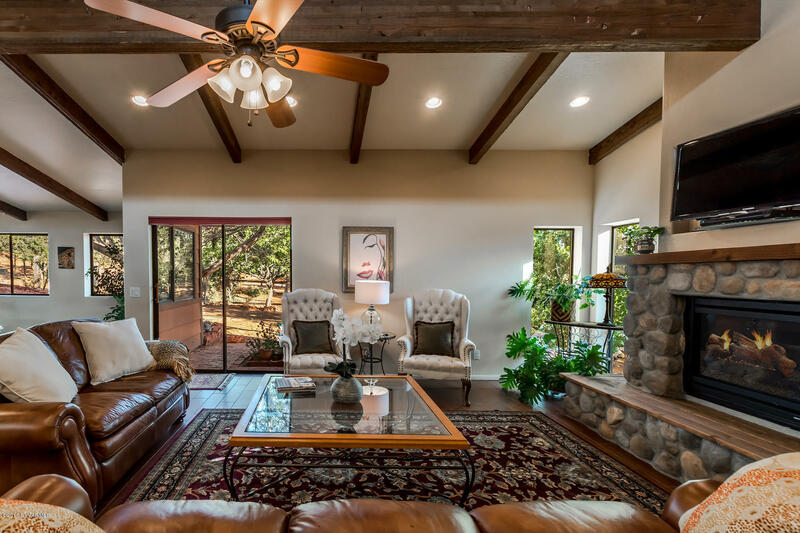 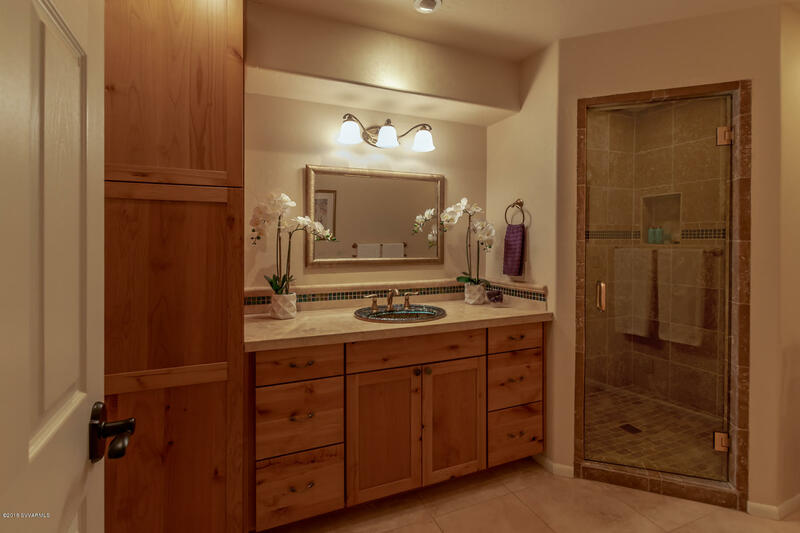 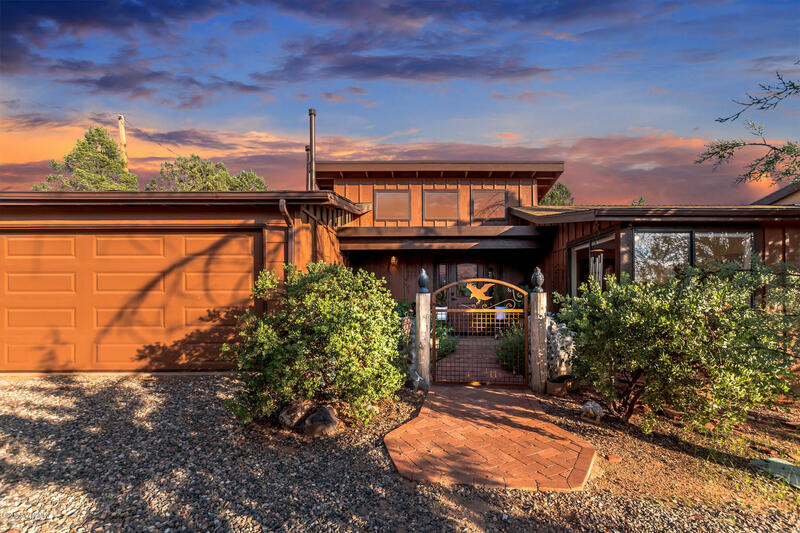 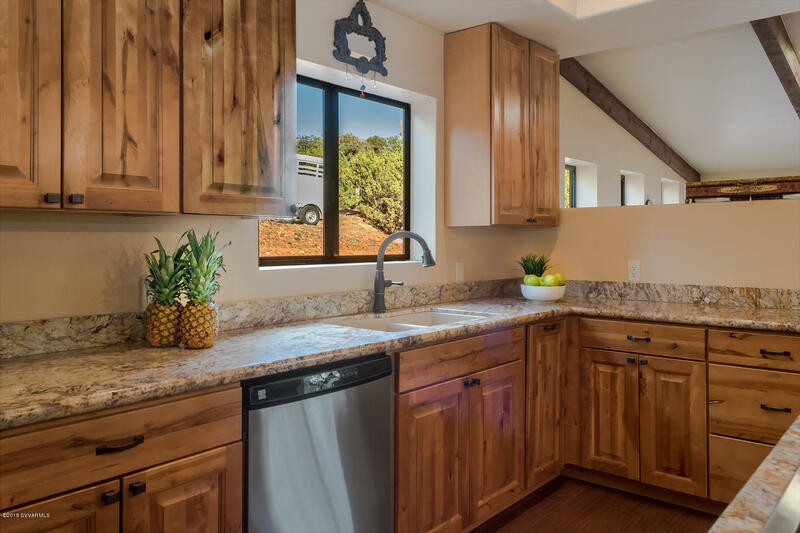 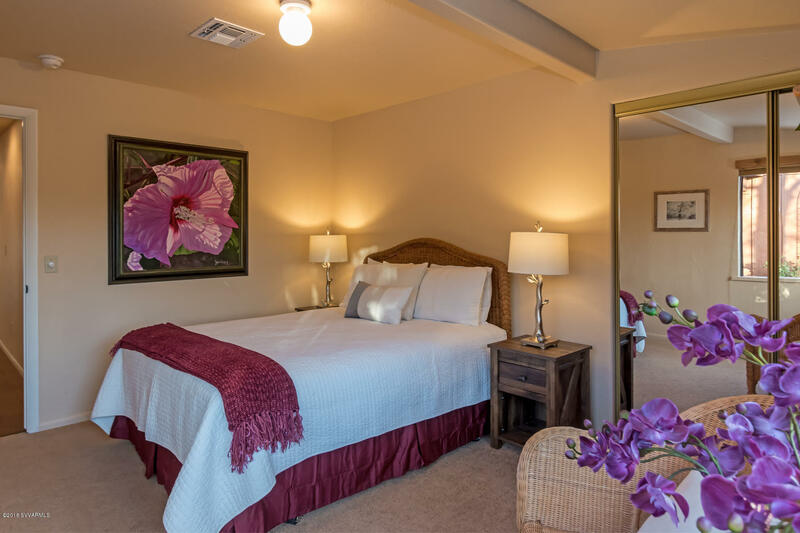 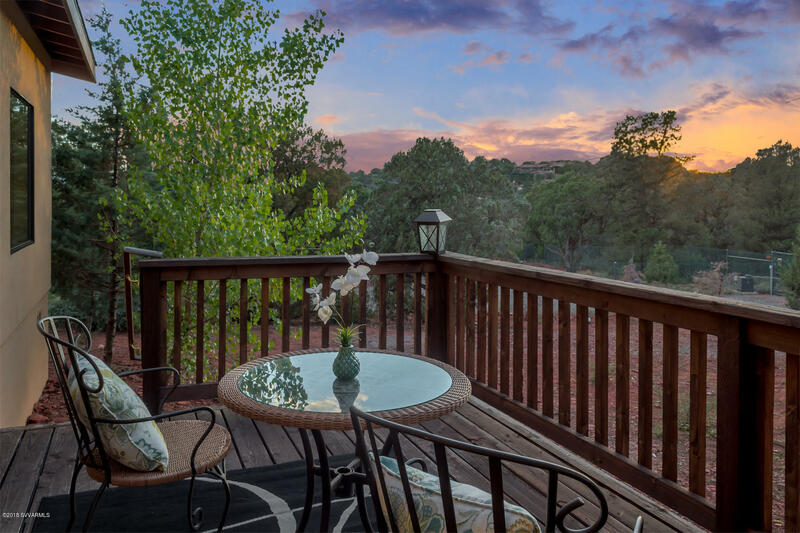 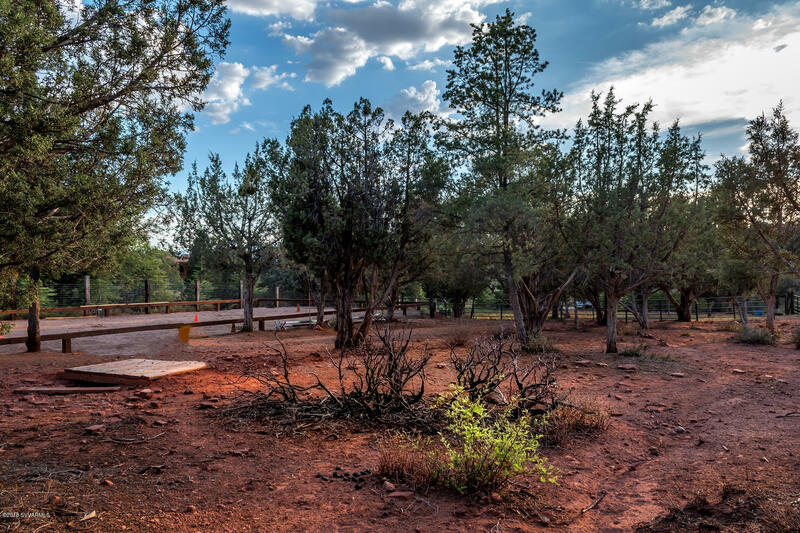 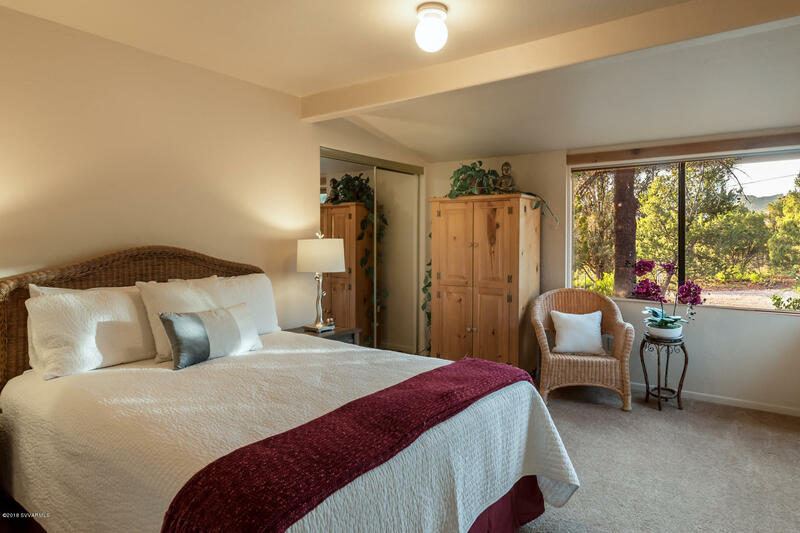 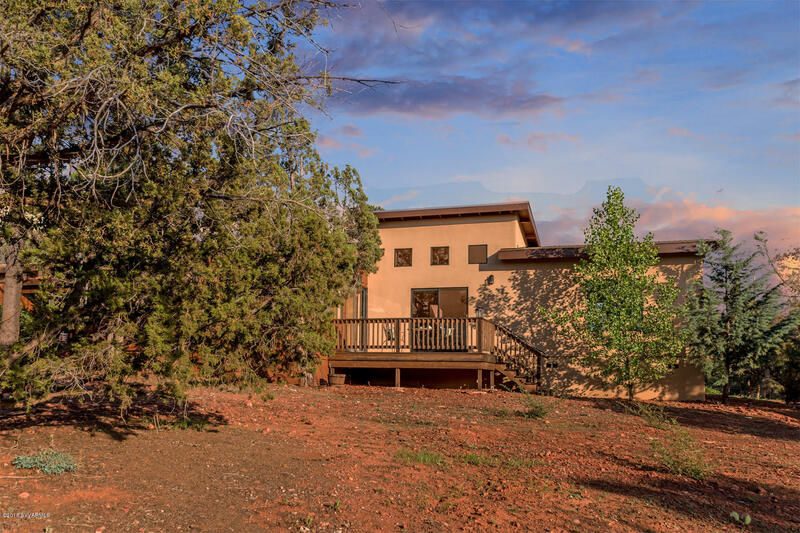 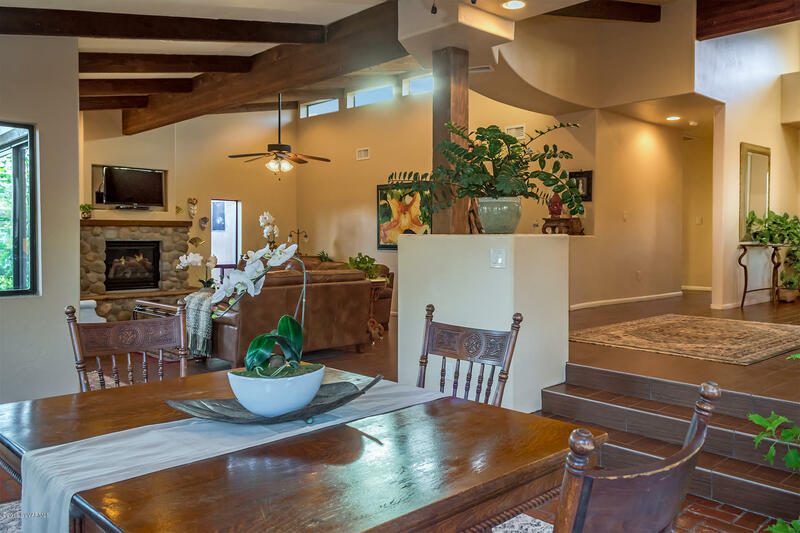 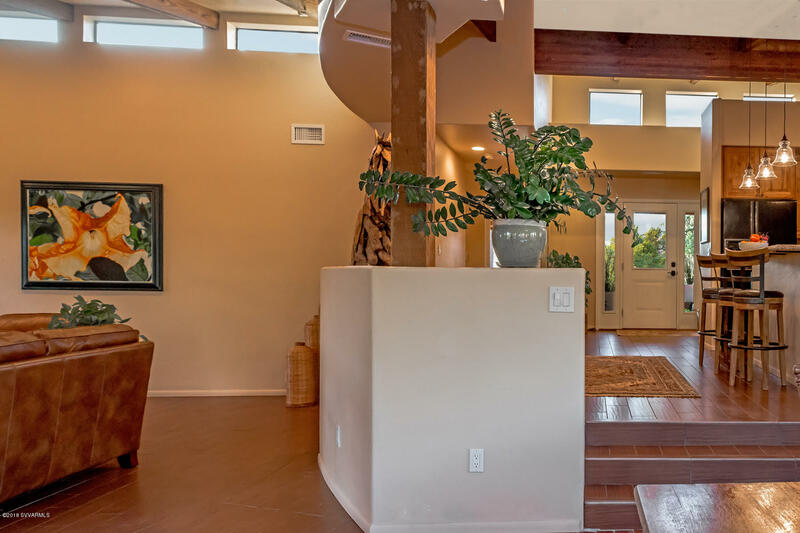 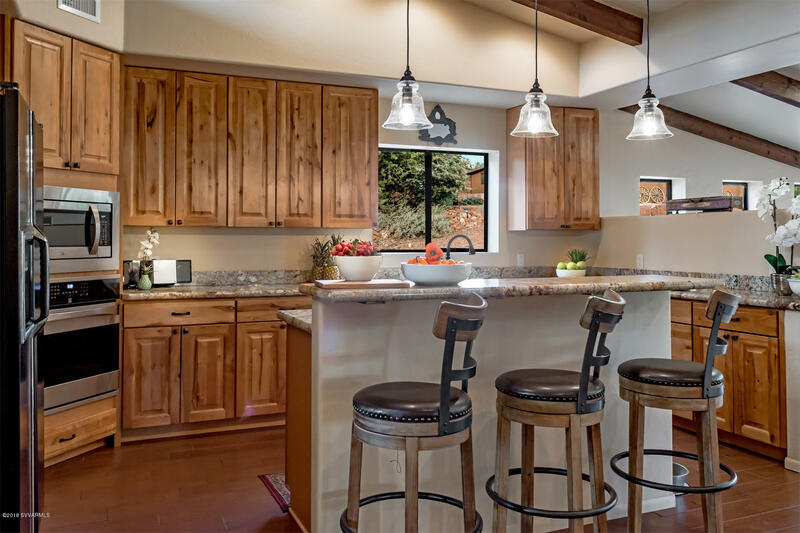 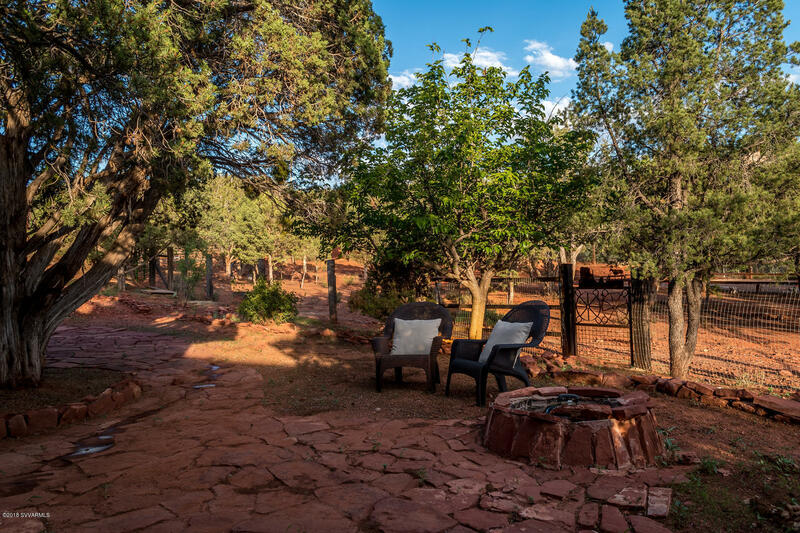 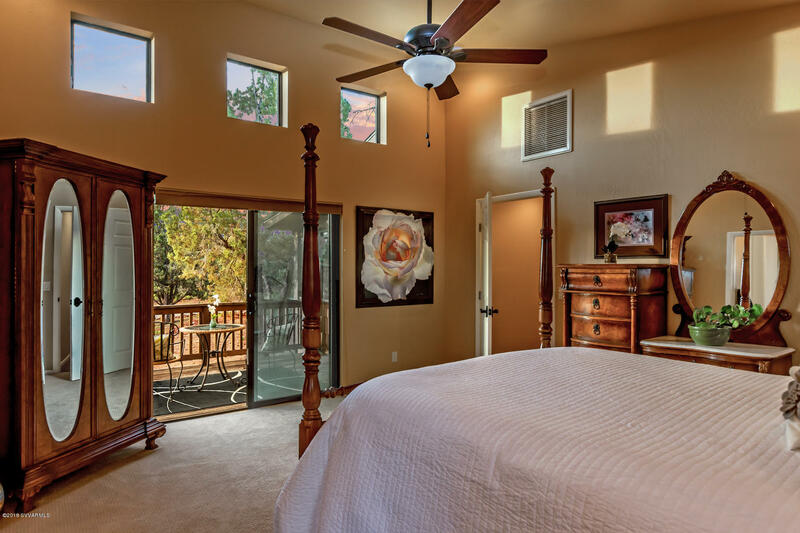 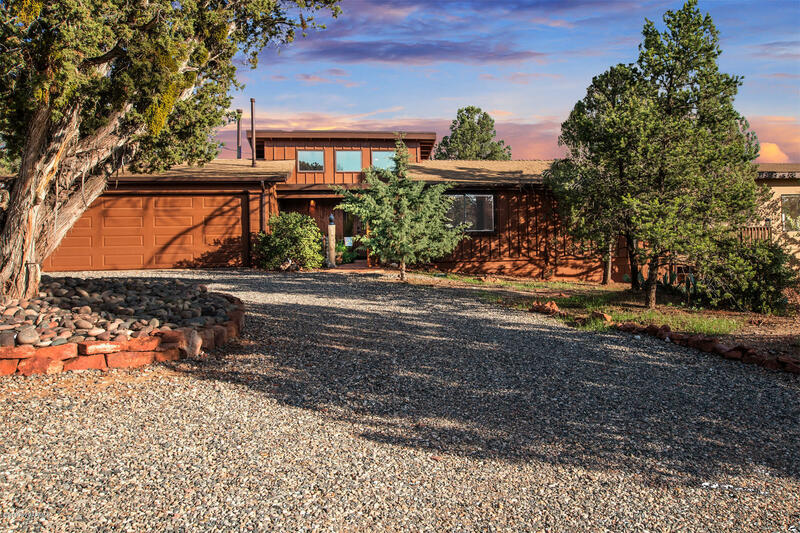 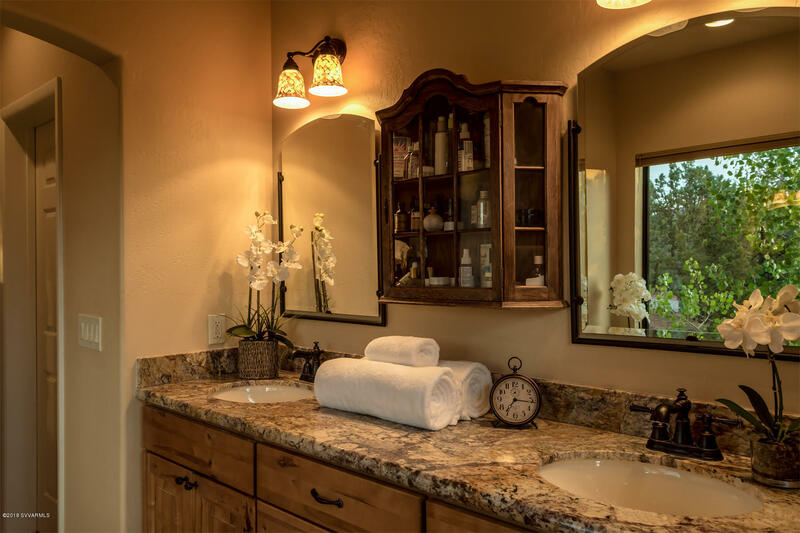 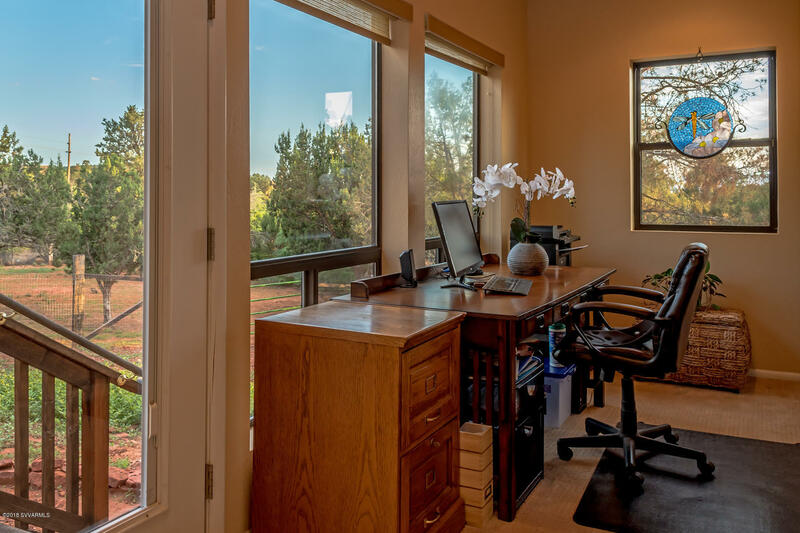 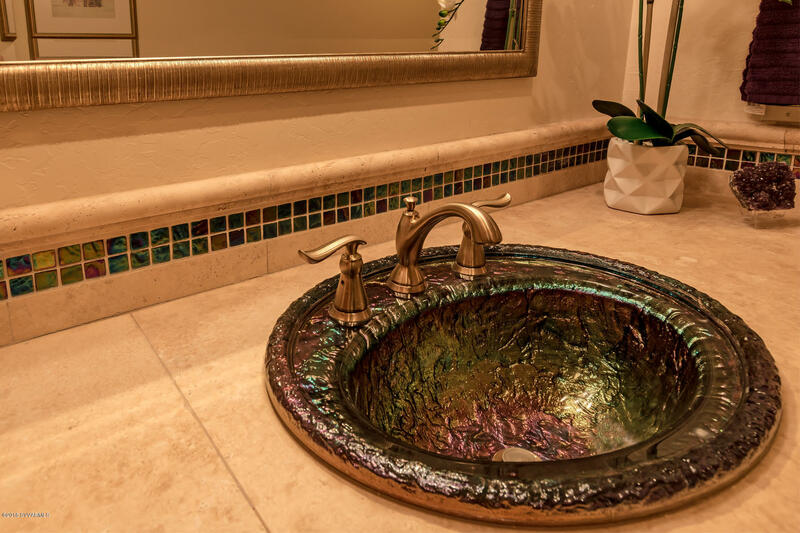 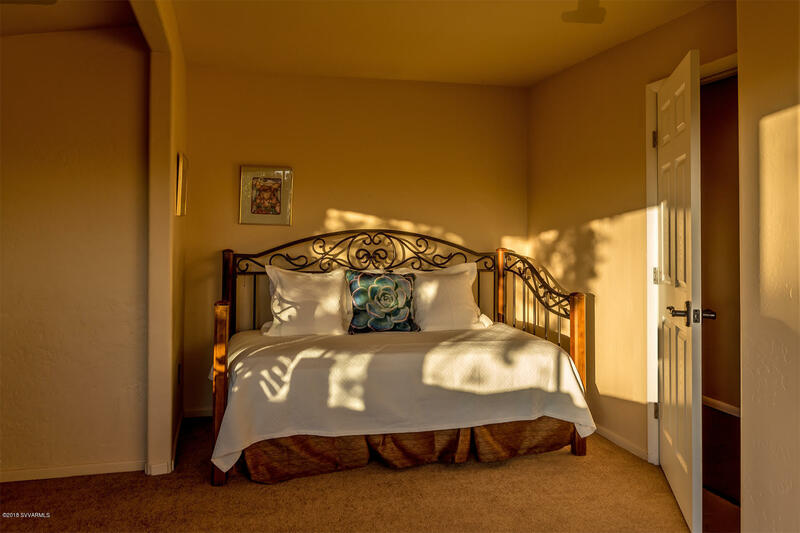 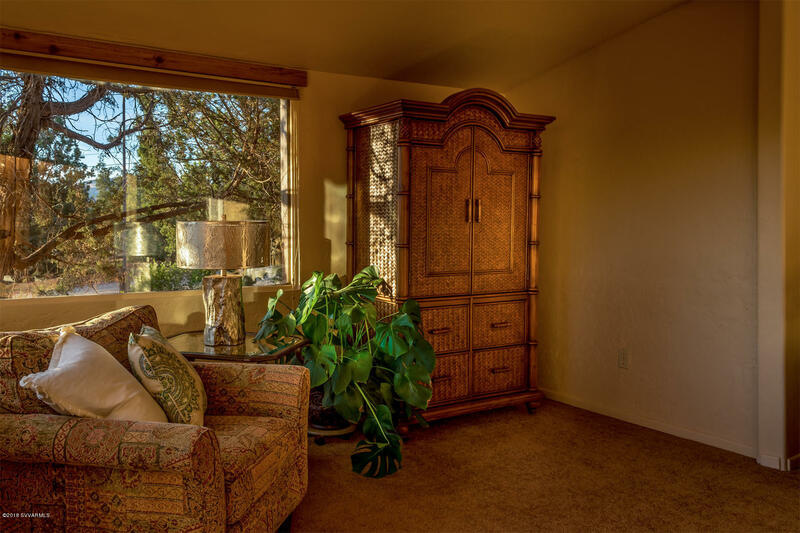 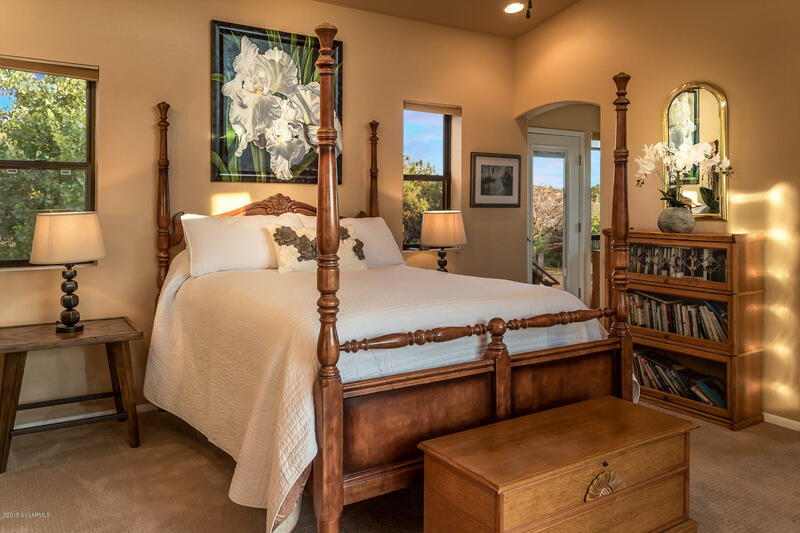 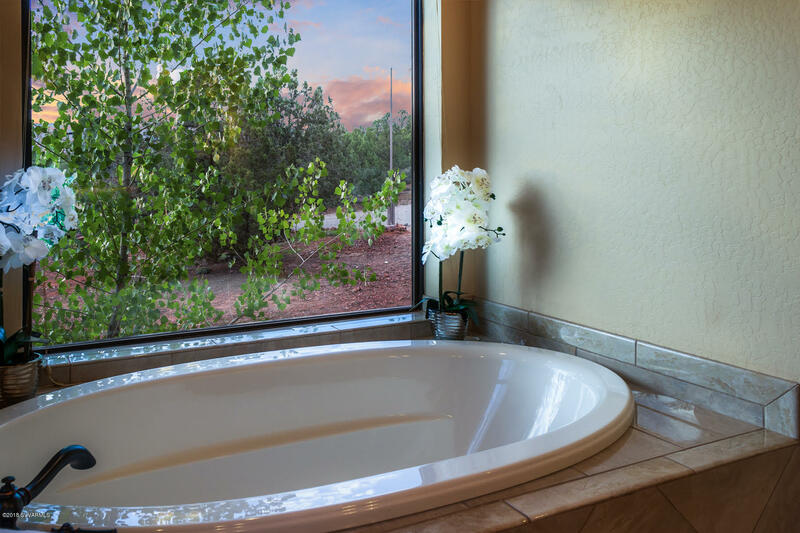 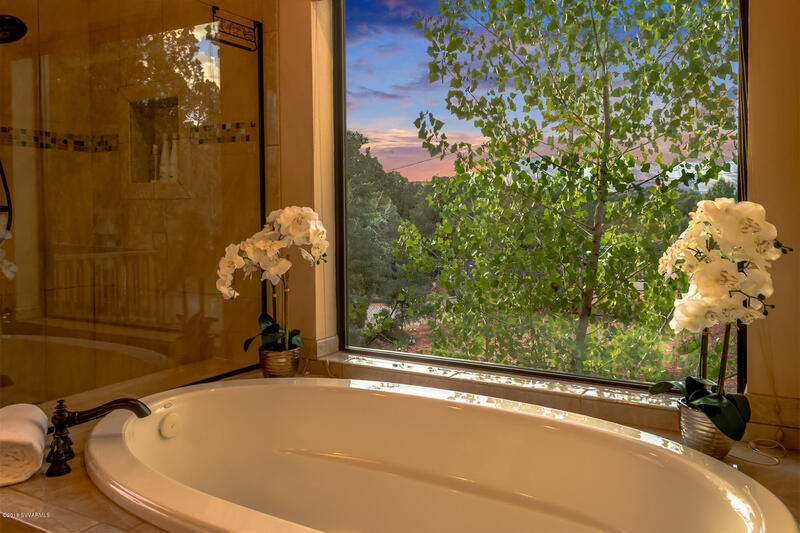 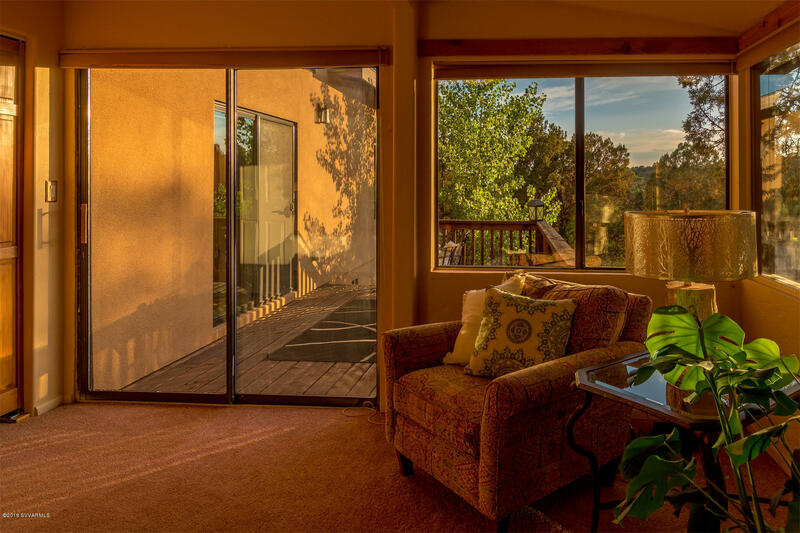 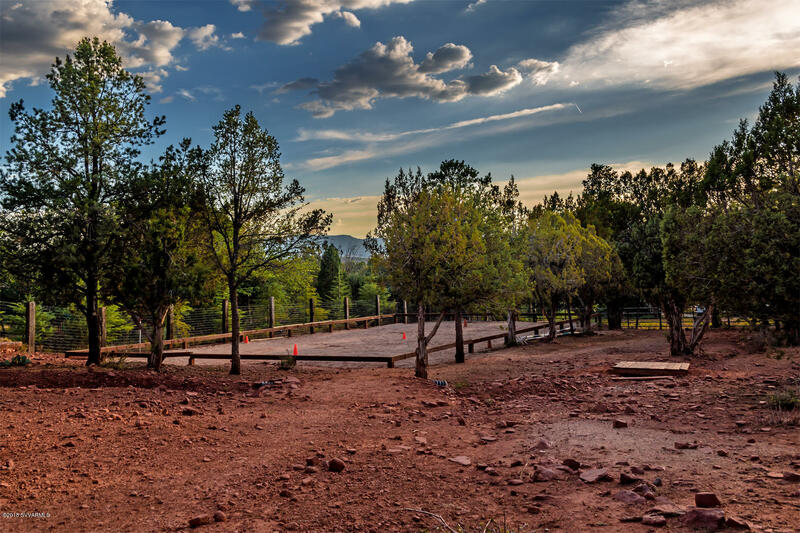 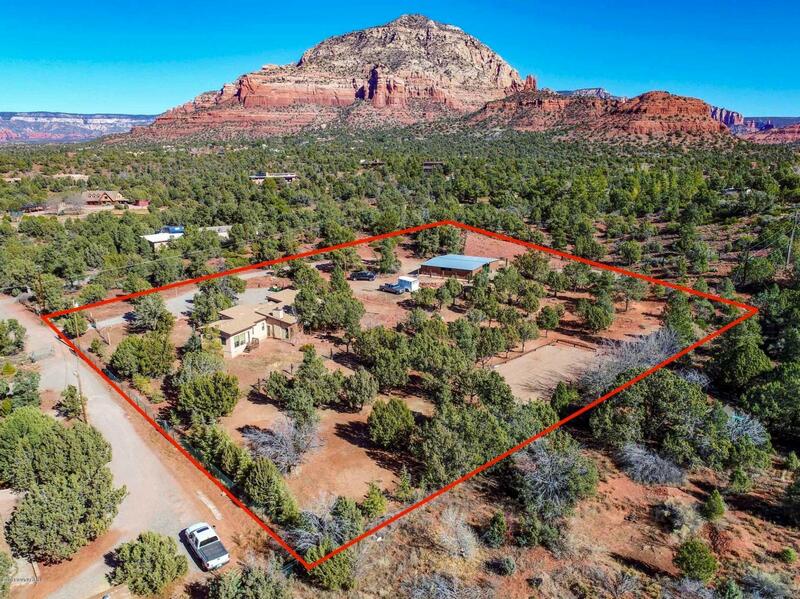 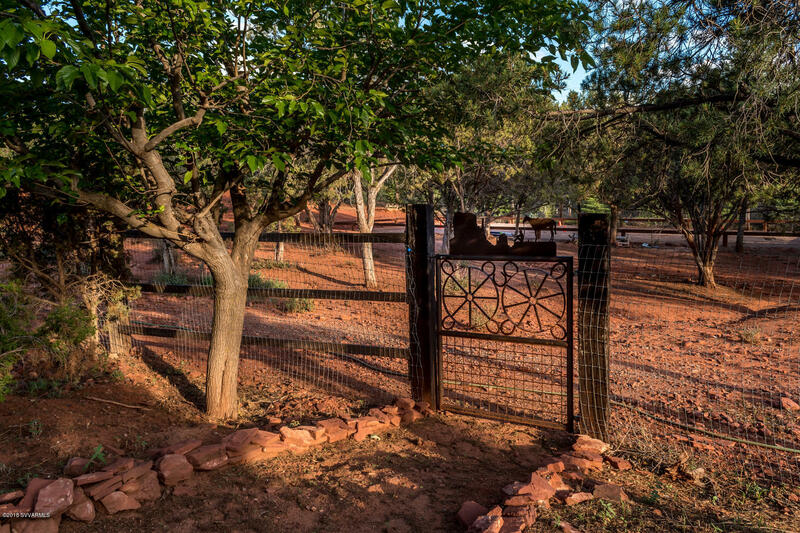 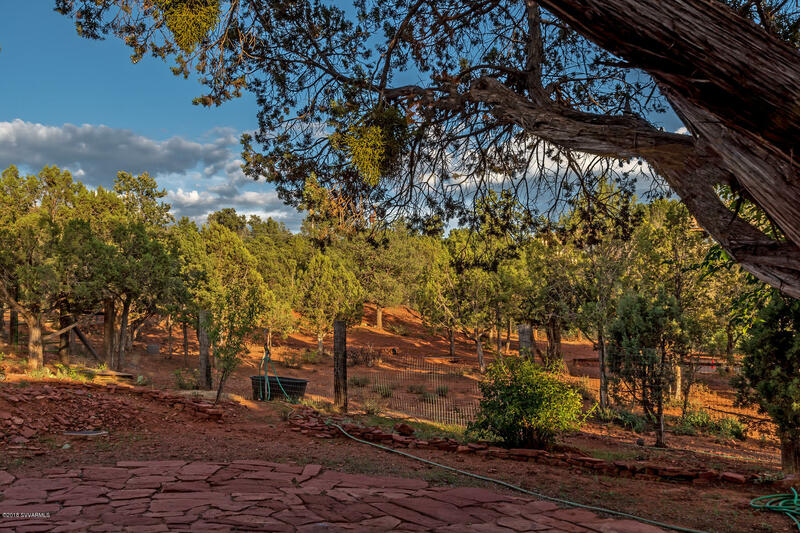 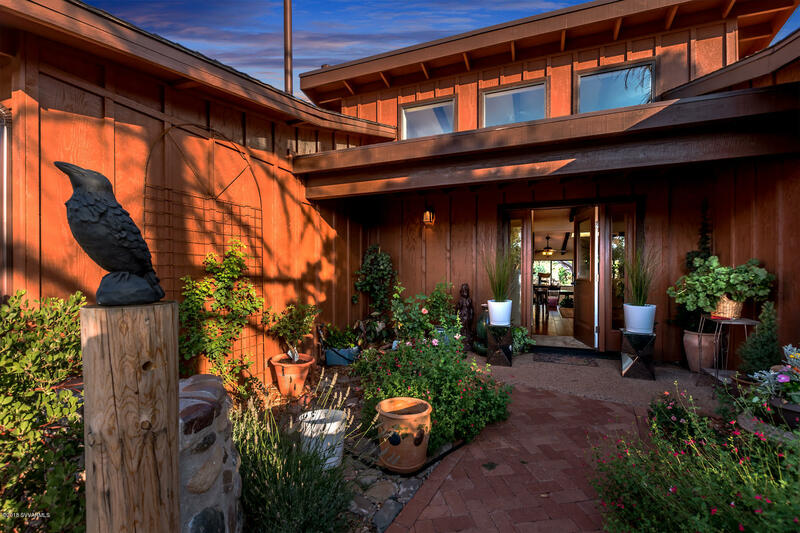 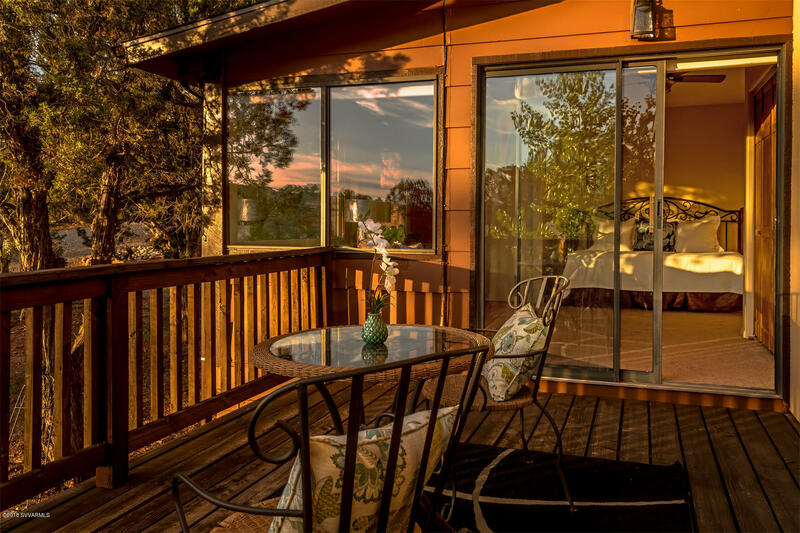 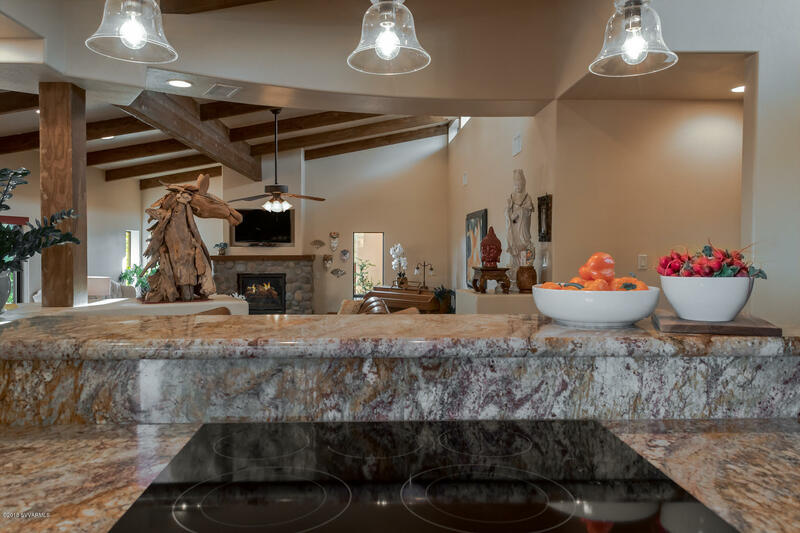 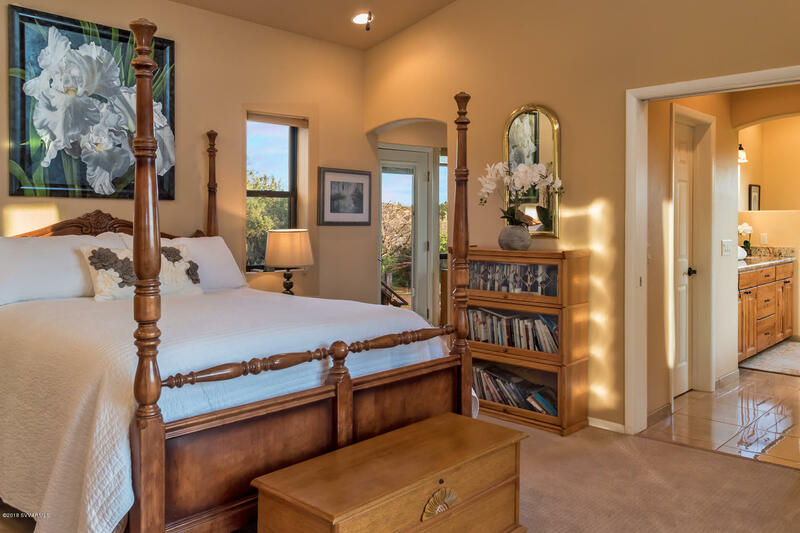 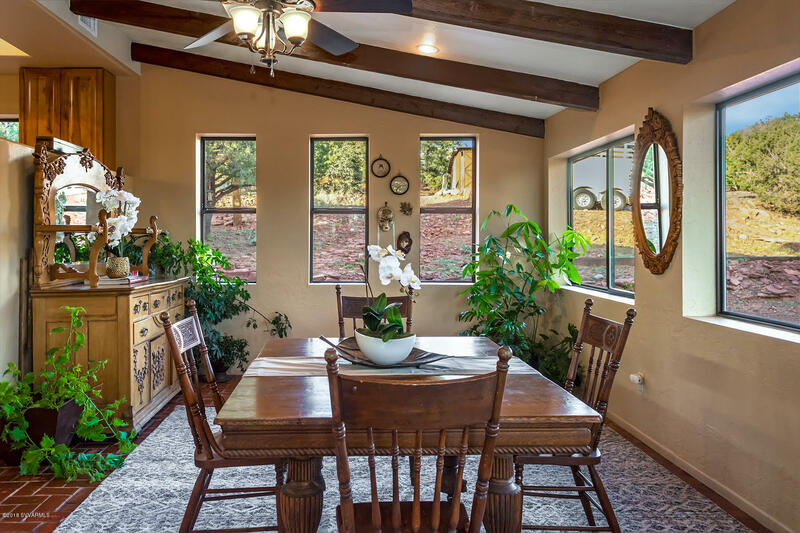 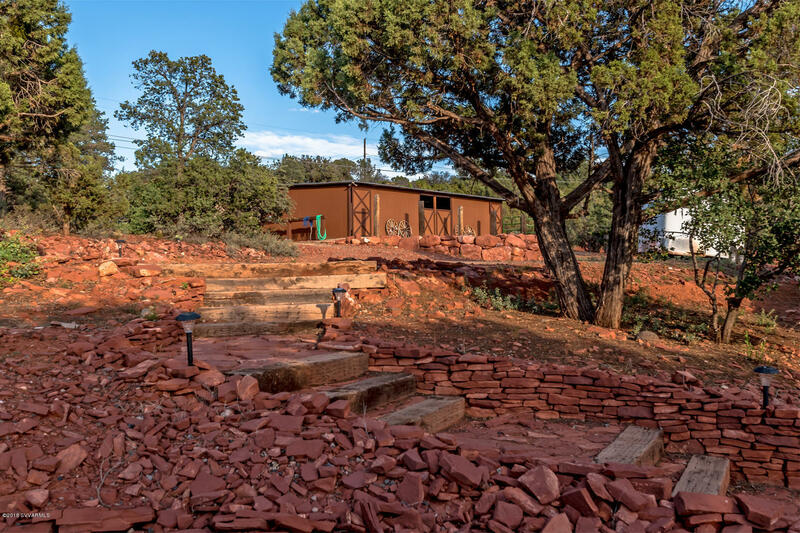 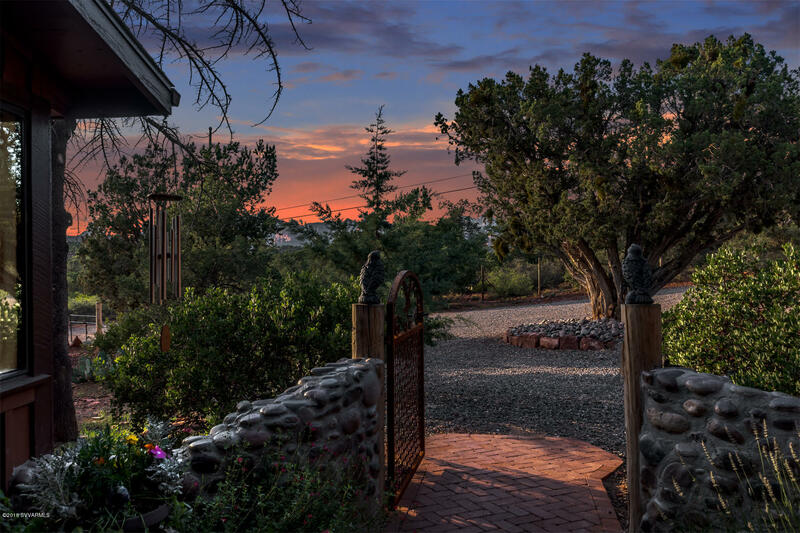 Remodeled fully by Sedona's own David Meyer, this light filled home is what Sedona dreams are made of. 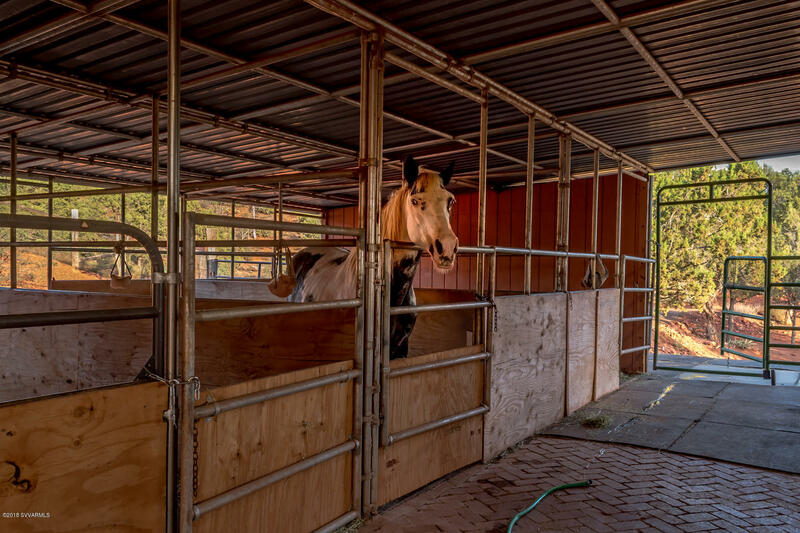 There are two runs within the 1800 square feet, six stall barn. 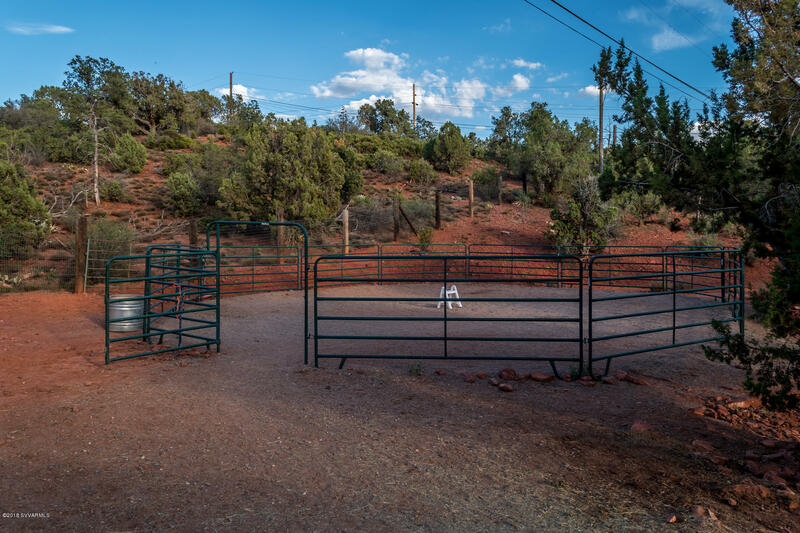 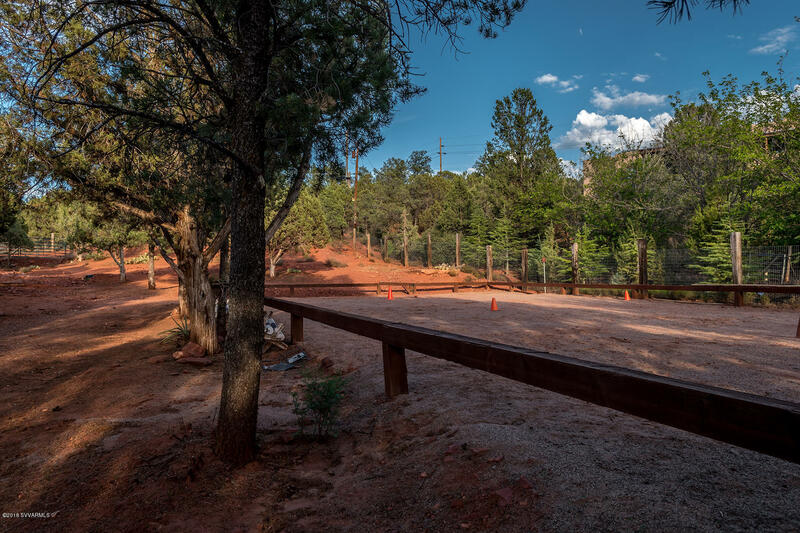 There is an area for a round pen (current round pen does not convey), turnout and horse arena along with a separate western pasture that can be irrigated. 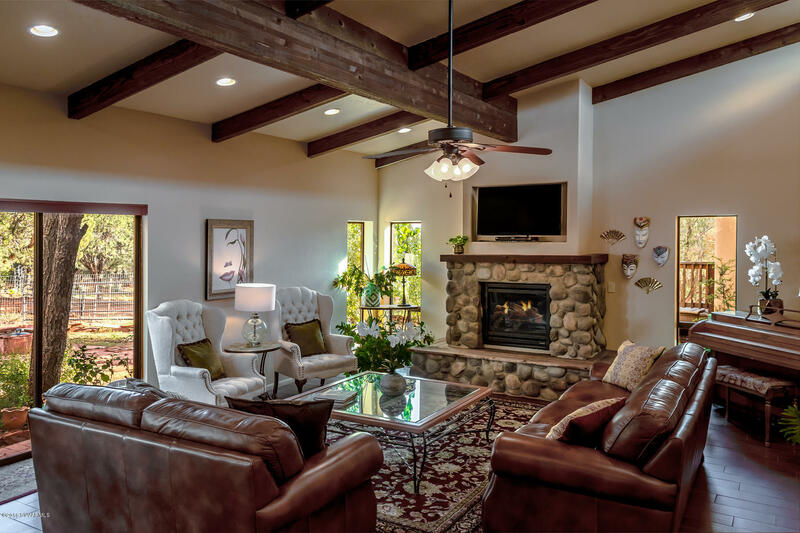 The home is a show stopper, with its open concept floor plan, clerestory north facing windows and river rock fireplace.